Enough with the fighter jets… In this post, we will examine C-17 National Guard units. But first, let me tell you a little about the C-17. The C-17 was first developed and introduced to the United States military in the late 1980’s and early 90’s. McDonnell Douglas was the first manufacturer and designer of this military transport plane. In time, Boeing merged with McDonnell Douglas and the C-17s now in use carry Boeing as the manufacturer. The C-17 has transported troops, vehicles such as tanks, trucks and armored personnel carriers as well as other equipment and supplies. The maximum payload of the C-17 is 170,900 pounds. 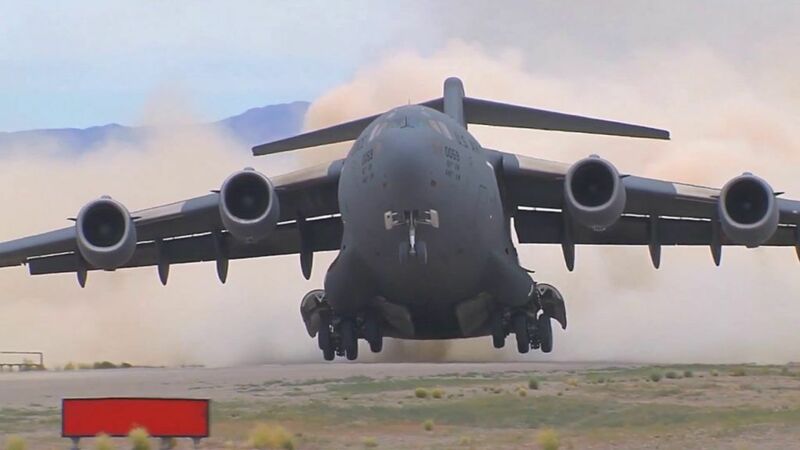 The C-17 was designed to operate on short runways and also has the ability to operate from unpaved runways. Overall, the C-17 has been, and is an excellent transport vehicle. Here are several C-17 National Guard Units. This is a New York Air National Guard unit that is based at Stewart Air National Guard Base in Newburgh, New York. The history of this unit goes back to 1956 when it was established and given to the New York Guard. The 105th has been a great help in and out of the mainland in support to extreme emergencies. A unit of the Tennessee Air National Guard, the 164th is based at Memphis Air National Guard Base. The 164th has origins way back to 1942. In those days, it was a fighter unit but in 1961, the unit became the 164th Air Transport Group and started dropping supplies for many humanitarian missions. This unit provided many flights in support of Operation Desert Storm. This unit is highly prepared to load and drop at a moments notice by order of the Governor of Tennessee or the President of the United States. The history of the 167th goes back to 1958 when they were simply a squadron. In 1972, the 167th became the 167th Tactical Airlift Group and a unit of the West Virginia Air National Guard. The 167th’s operational base is at Shepherd Field Air National Guard Base in Martinsburg, West Virginia. The 167th has been quite active in humanitarian missions during hurricanes, forest fires, earthquakes and floods. The 167th was also the first called to volunteer in Operation Desert Shield. A unit of the Mississippi Air National Guard, the 172nd is based at Allen C. Thompson Field Air National Guard Base in Jackson, Mississippi. The 172nd was established in the early 1960’s. A cool thing about this unit is the volunteering of personnel to fly weekly missions to fly injured and sick military personnel back to the United States. The 172nd also has flown relief for various hurricanes and earthquakes. I know that many here in Puerto Rico are thankful for C-17s. After all, many supplies have been dropped here after hurricanes from these mighty planes. Many airborne soldiers have also made the “leap” from a C-17. Have you? Tell us your experiences with the C-17 and if you belong to any of these units, give a shout out. Here is a C-17 video and I hope you enjoyed this post. Feel free to share it with others.